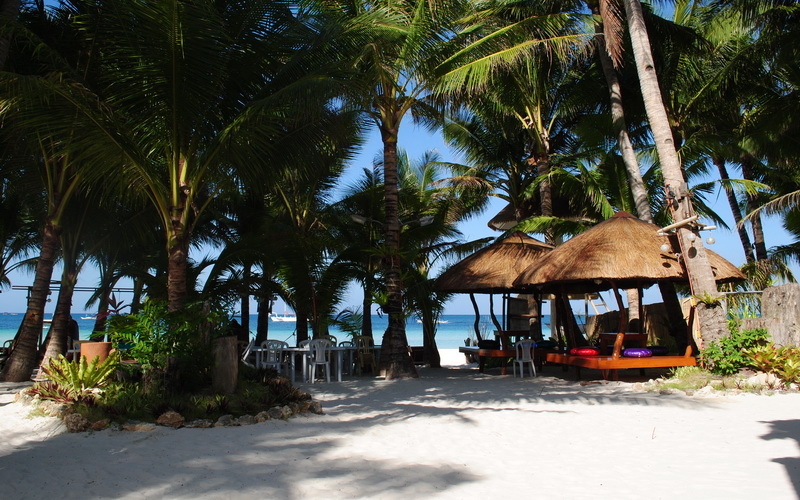 White Beach Station 1 has some of the best sand and beachfront in Boracay. The beach is perfect for swimming as it is shallow, and the powder is the finest sand on White Beach. 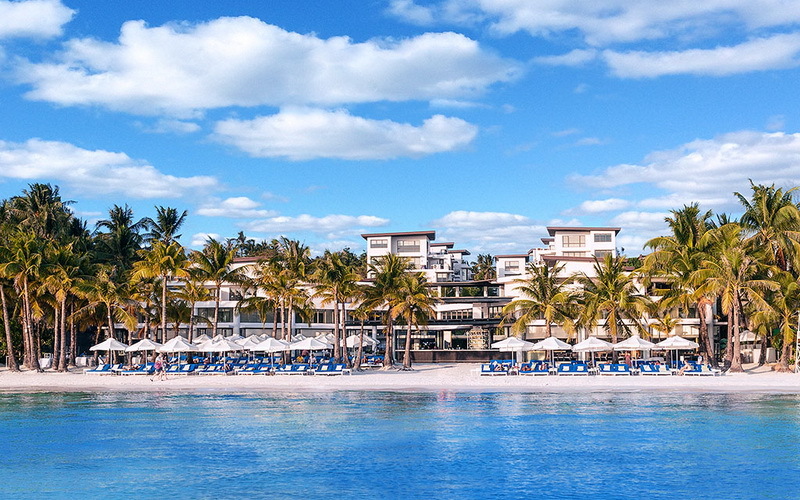 Here are our favourite Station One Truly Beachfront hotels. The order is a top 10 favourites, but the order is also somewhat in descending order of price. 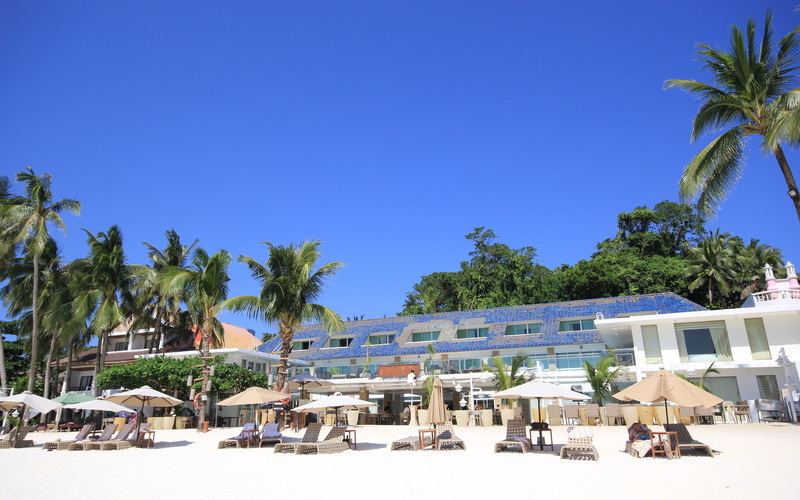 Sur Boracay is a quiet and relaxing resort, built in 2005, located along the finest stretch of White Beach in Station 1. With a simple but elegant architecture, it promotes a peaceful, homey, and relaxed tropical ambiance. Sur Boracay has 46 reasonably priced, comfortable rooms complete with hot and cold water, air-conditioning, a refrigerator, and cable TV. Guests can also enjoy the resort’s charming pocket gardens, cabanas, an excellent dining area, and a roof top deck with a stunning view of White Beach and the sea. 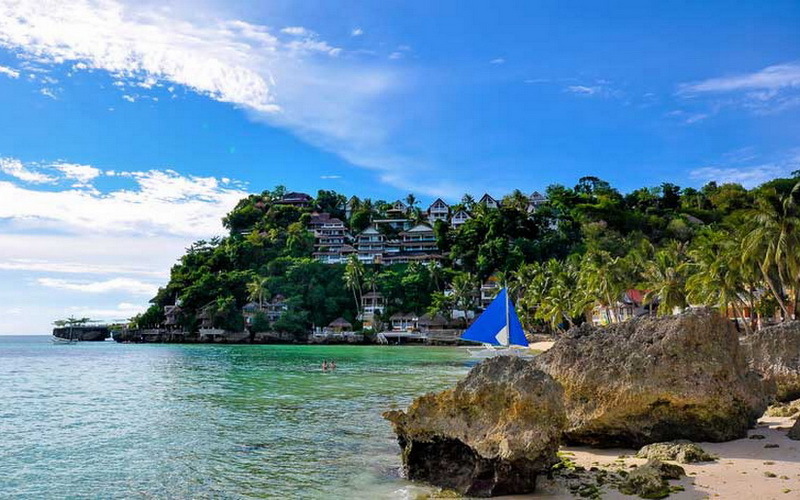 Residencia Boracay is a resort with reasonably priced rooms on a great piece of shaded beachfront with lounge chairs and hammocks. 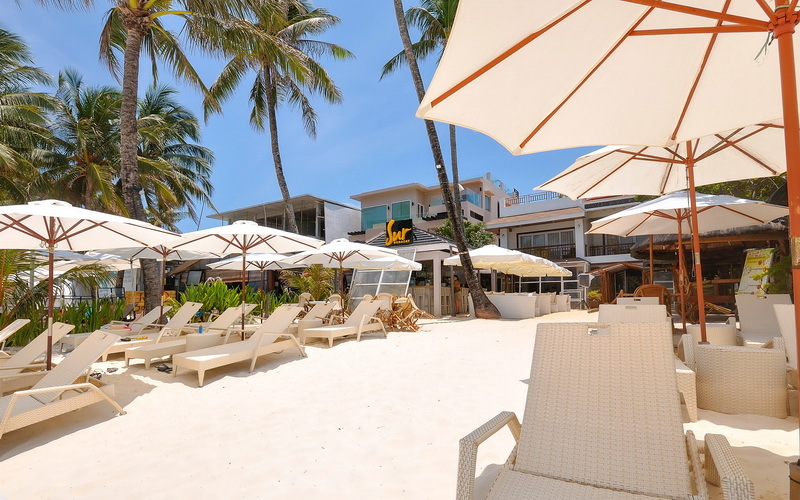 The resort is located directly at a prime area in Station 1 with the most high quality sand on white beach, and also has convenient main road access in the rear. 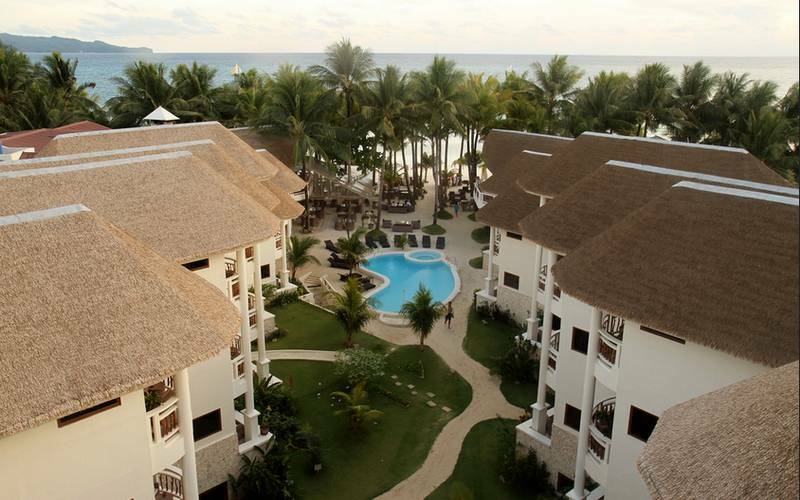 Residencia Boracay’s rooms are modern, simple, clean, and represent great value for money. Convenience is what the resort offers as all rooms are furnished with air-conditioning, private toilet and bath with shower, cable LED TV, refrigerator, and internet access. 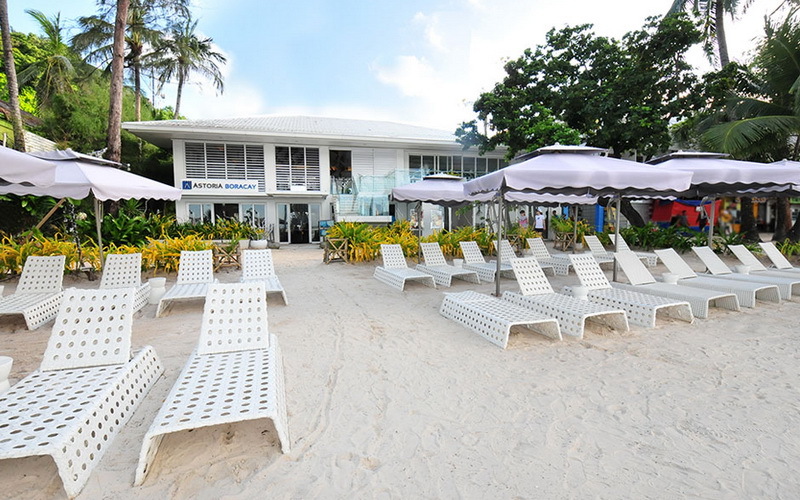 White House Beach Resort is a family-run resort located directly on White Beach Station 1. The resort has differently designed rooms, good for 2 guests to rooms good for families, ready to cater to every guest’s needs. 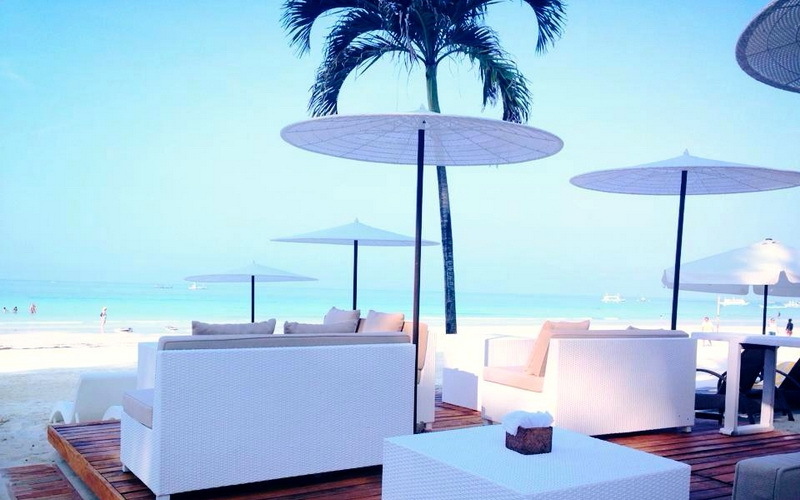 The Mediterranean inspired beach house overlooks the beach and swimming pool, with beach lounge chairs and bar where you can enjoy the sunset Boracay is known for. White House Beach Resort Boracay also offers great food prepared by their very own Chef Martin. A little more expensive, Astoria is directly at the actual Boat Station 1, where the watersports are, in the center of the action. Two Seasons and Sea Wind are further towards the quiet area of Station 1. 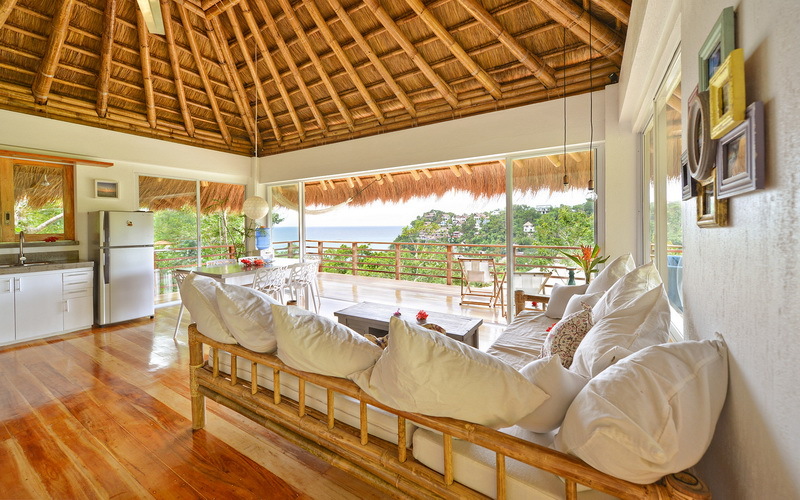 Two Seasons has one of my favourite rooms in Boracay; the Suite Heaven. Estacio Uno was recently completely remodelled and is looking great. Also Estacio Uno has one of my favourite big breakfasts . Astoria Boracay is a modern beachfront property positioned at the premier part of Boracay featuring edgy yet clean interiors and trendy rooms with colorful accents. Guests may opt to unwind on the hanging loungers, dine and indulge at the resort’s indoor and outdoor restaurants, relax on the sunken pool beds or cool off and go for a dip in the inviting outdoor pool. 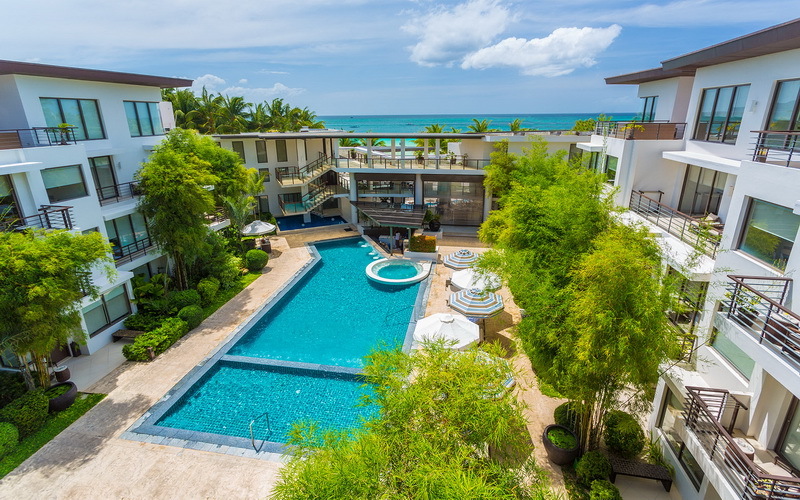 Two Season Boracay Resort is conveniently located on Station 1 beachfront offering spacious, well appointed rooms and modern fittings ideal for a very comfortable and restful stay. Grab a bite at its Resto Lounge with a variety of Euro and Asian cuisines or simply unwind by its large outdoor adult and children’s pool. 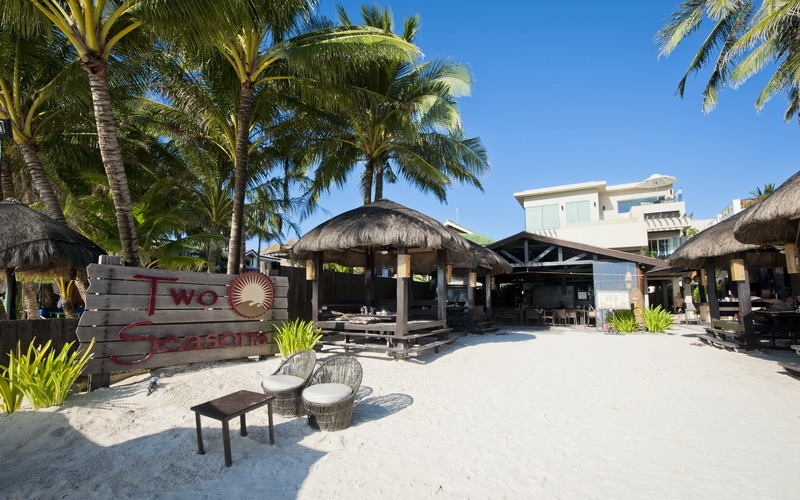 Sea Wind Boracay is high quality beach front resort situated in a prime location at Station 1 with the finest white sand on the island; just about 15 minutes walk to D’Mall and a leisurely stroll to other bars and restaurants on the island. Enjoy your holiday on the beach with their cozy hammocks and soft beach beds under simple nipa canopies, or plunge into their outdoor pool where you can still enjoy the view of the beach. All Filipino-themed guest rooms feature cable TV, air conditioning, modern bathroom with hot and cold shower, telephone, mini bar, safety deposit box, and a balcony with outdoor seating area, providing you with a sense of coming home. Estacio Uno highlights top-quality facilities and modern entertainment just a few steps away from the world-famous White Beach in station 1. Complement your holiday with local and international dishes at their onsite restaurant, sunset watch at the Sky Lounge, a dip at the wrap-around pool while sipping a glass of juice or cocktails at the Pool Bar. The Top 3 Station 1 Hotels. Fridays has been a top resort since 1984, and a more of a modern native type of design. Discovery is quite modern and sleek, and great resort. (Also Discovery has a little side restaurant called Indigo; totally worth the upscale meal). Ambassador is one of our most popular resorts, and nicely blends the modern with the native. Also they did a great job with their beachfront and kept all the coconut trees. 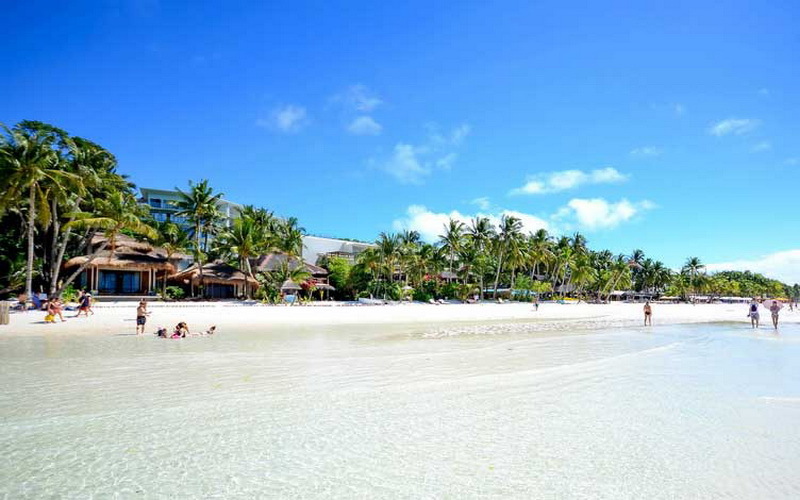 Fridays Boracay Resort is directly located on the beachfront and lies at the Northern end of the island which is considered one of the finest stretch on White Beach. Tropical and native style cottages with modern conveniences surround its courtyard gardens and newly renovated freshwater swimming pool. 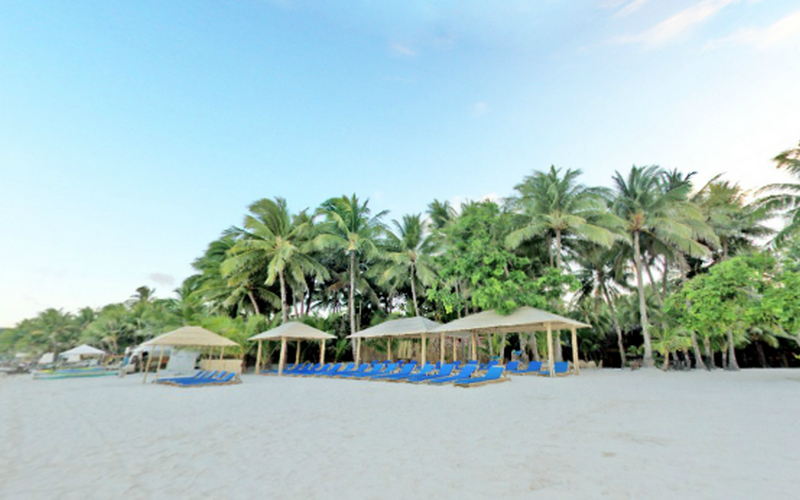 Discovery Shores Boracay is a multi-awarded luxury resort located in a prime spot on White Beach station 1 featuring modern rooms and comforts with spacious common areas. It also boasts a 14-meter high waterfall which flows into an infinity pool and sunken swim-up bar with a stunning ocean view. Ambassador In Paradise Resort is an eco-friendly, lavish and beachfront accommodation perfect for guests who appreciate high quality service in a relaxed environment. Its kidney-shaped outdoor and kiddie pool offer a welcoming break from beach activities. wow it so amazing and peaceful place, I badly want to visit that place someday….. I will definitely be back in Boracay with the MyBoracayGuide. Hello. excellent job. I did not anticipate this. This is a splendid articles. Thanks! This entry was posted on Thursday, October 6th, 2016	at 11:23 am	and is filed under Best, Recent	. You can follow any responses to this entry through the RSS 2.0	feed. You can skip to the end and leave a response. Pinging is currently not allowed.